Harvard’s long-closed Social Museum promoted progressive values. Industrial Problems, Welfare Work: United States. Pennsylvania. Pittsburgh.H.J. Heinz Company: Bottling Department, c. 1903. Gelatin silver print. Social Settlements: United States. Massachusetts. Boston. South End House: South End House, Boston, Mass. 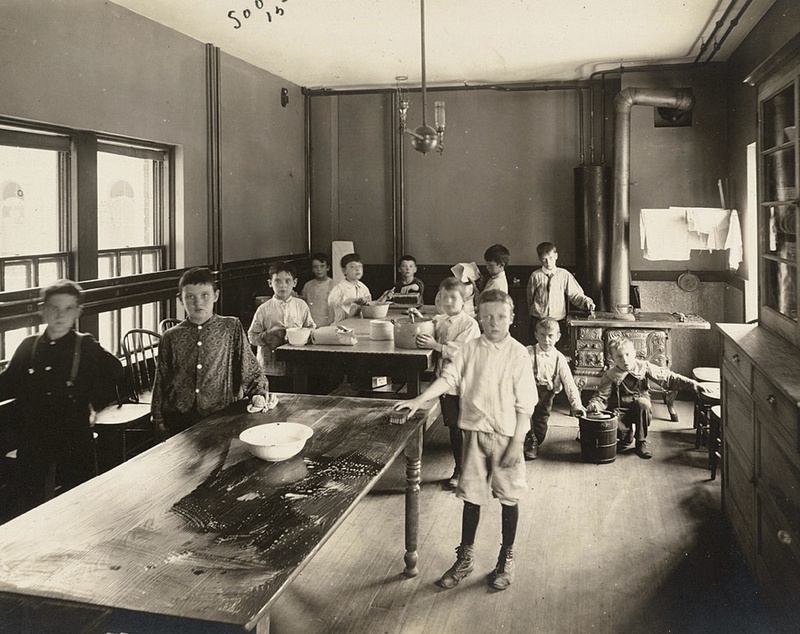 : Vacation School 1907: Boys’ Cooking Class, 1907. Gelatin silver print. Social Settlements: United States. Pennsylvania. Philadelphia. “Starr Centre Association”: The Starr Centre Association, Philadelphia, Pa.: Twins When They Began to Take Modified Milk, c. 1907. Gelatin silver print. Crime, Children, Reform Schools: United States. New York. Freeville. George Junior Republic: George Junior Republic, Freeville, N.Y.: Cheapest Lodging for Boys, The Garret, c. 1903. Gelatin silver print. Social Settlements: Great Britain, Scotland. Glasgow. “Queen Margaret College Settlement”: Queen Margaret College Settlement, Anderston, Glasgow, Scotland: Rear Tenements, Clyde St., c. 1908. Gelatin silver print. Byron Company, Industrial Problems, Welfare Work: United States. New York. Brooklyn: Rapid Transit Company: Provision of Recreational Facilities for Employees. 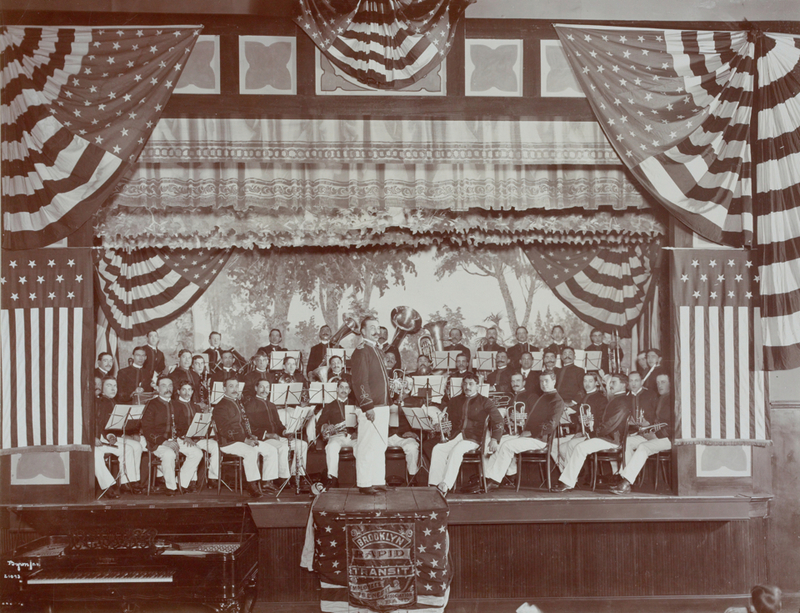 Brooklyn Rapid Transit Co.: Band of Employees Benefit Association, 1906. Gelatin silver print. Attributed to J. H. Adams, Races, Immigration: United States. New York. New York City. 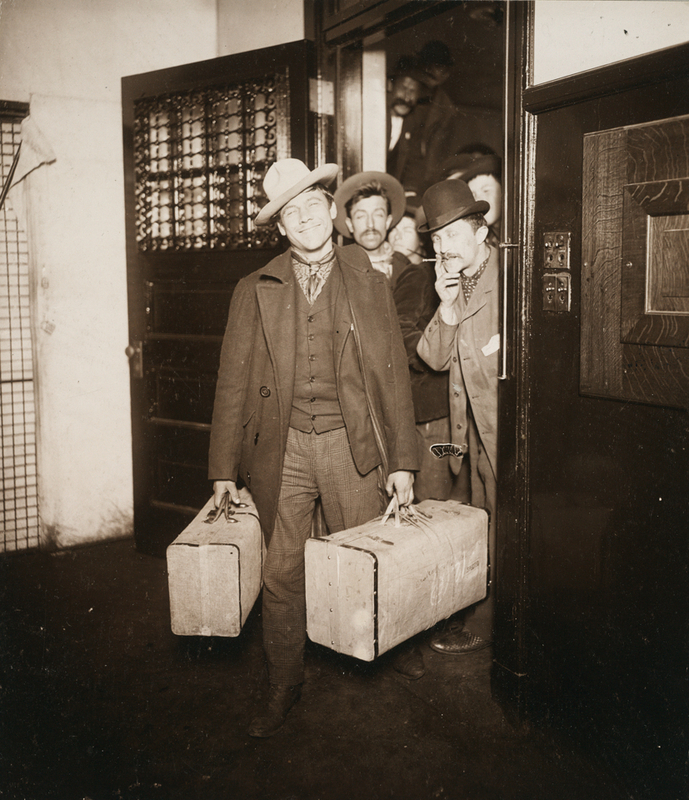 Immigrant Station: Regulation of Immigration at the Port of Entry. United States Immigrant Station, New York City: Saved at the Last Moment (Through an Appeal, the Order to Deport Was Revoked), c. 1903. Glossy collodion silver print. 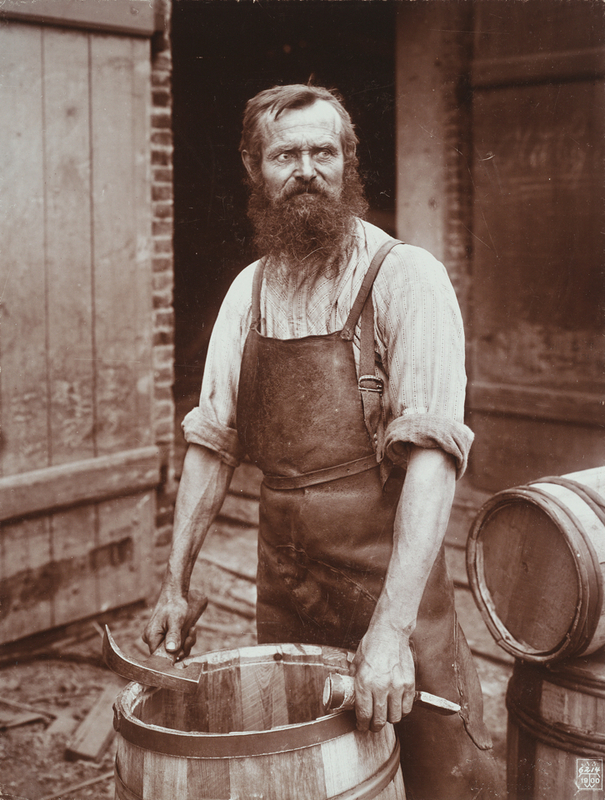 Lewis Wickes Hine, Industrial Problems, Conditions: United States. Pennsylvania. Pittsburgh. Pittsburgh Survey: These Four Strippers Work in a Damp, Unventilated Cellar, 1907–8. Gelatin silver print mounted to board, white gouache. Scroll above to view a selection of images from the Social Museum collection. In 1900, Francis Greenwood Peabody wrote, “Behind all the extraordinary achievements of modern civilization, its transformation of business methods, its miracles of scientific discovery, its mighty combination of political forces, there lies at the heart of the present time a burdening sense of mal-adjustment which creates what we call the social question.” The Plummer professor of Christian morals, Peabody taught social ethics. He wanted his students to understand the gravity of the pervasive social problems and to strive to find solutions to them. As an aid, he opened in 1907 the Social Museum, in Emerson Hall, with an archive of thousands of photographs devoted to the lives of the other half. 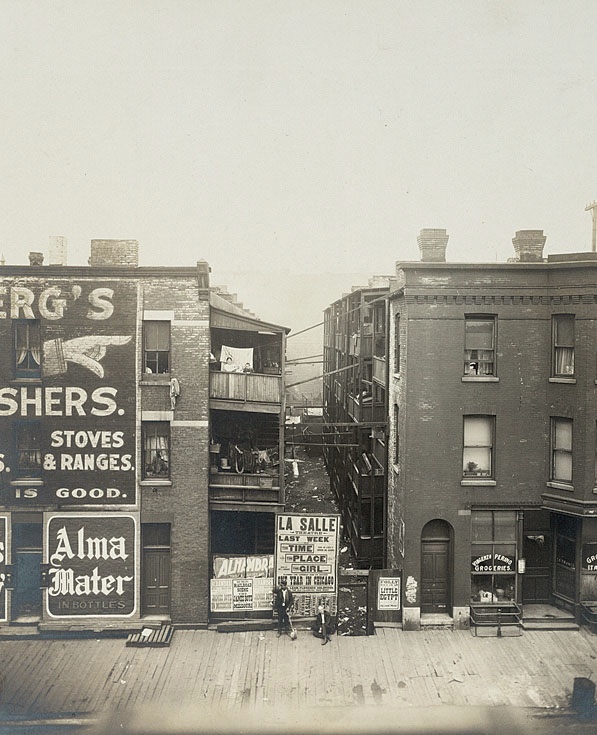 Among the 4,500 still extant are the three shown here: of tenements in Chicago, circa 1908; of the bottling department at the H.J. 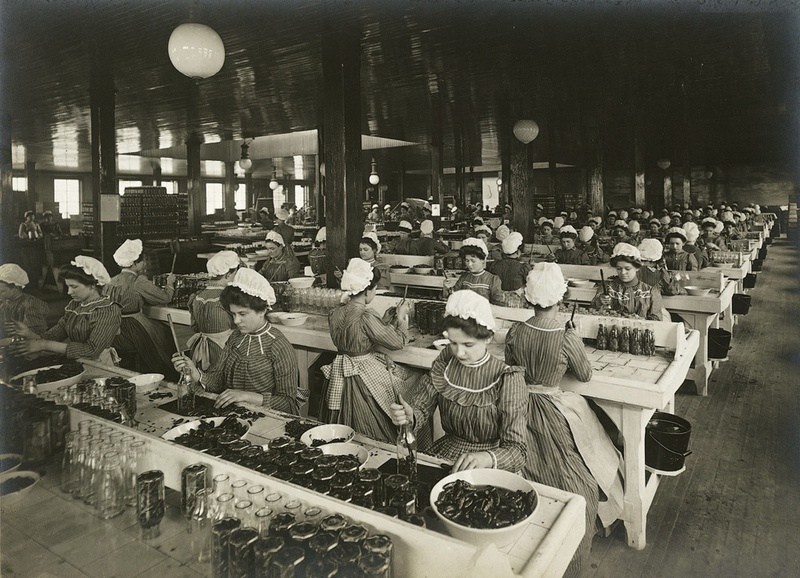 Heinz Company, Pittsburgh, circa 1903; and of a boys’ cooking class, 1907, in Boston’s South End House. The entire archive is searchable at www.harvardartmuseums.org/socialmuseum.